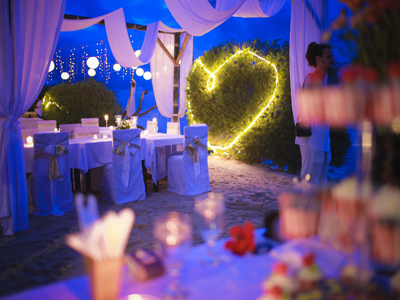 Inspired by your love, our wedding team creates and manages an event catered to your desires. Custom nuptial to reflect your personal love story, and together we create the wedding of your dream. Secluded and quiet dessert island, breathtaking sunset, white sandy beach, great weather, sea breeze, sound of waves, wild smell of thea beach makes the island gently. It is such a romantic moments on white sandy beach, facing the beautiful of mount Agung, enchanting secret gardens on the beach. 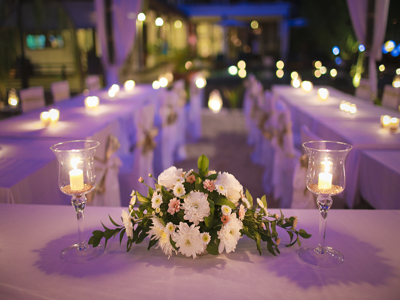 We ensure you the wedding ceremony in joyful of tropical breezes and spectacular smoldering sunsets. 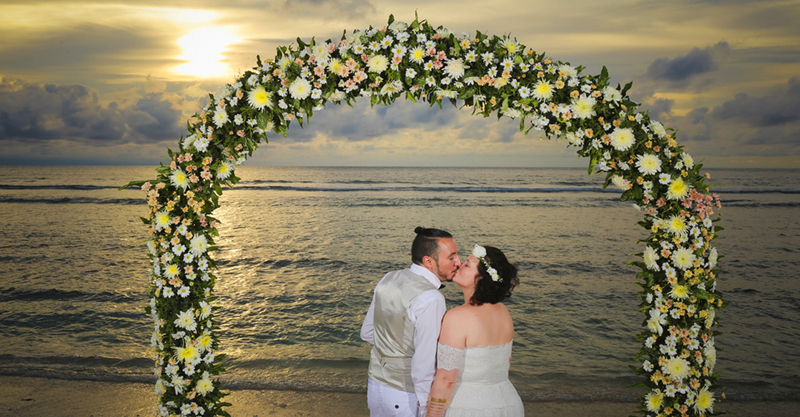 We offer a weddding on the white sandy beach, it can be a barefoot wedding ceremony on the beach of Gili Trawangan. Numerous décor options, in sake of the most memorable wedding possible, tailored to culture, tastes & styles, concepts of themes and many more created with perfect service and great attention to details. Photography, videography/DVD services, professional florist, traditional entertainment, musicians, and the wedding cake of your dreams can be arranged through wedding coordinator. Our Personal Wedding Planner will help you choose which package is best for you, and will see to it that your special day is just perfect.